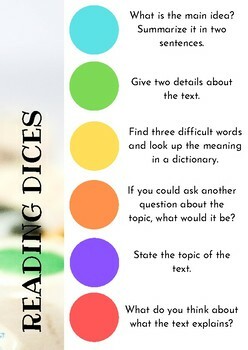 Students need to use colored dices (I bought them on Amazon) to choose an option and answer. It has been thought to be used with any non-fiction text. Perfect to use it as a reading station.